Presenting our solution to the problematic automatics currently used in offroad racing, the WeisMatic! Designed from the ground up to eliminate all the issues plaguing the racing world utilizing Turbo 400 automatics and the like, we created the WeisMatic. Born out of witnessing yet another automatic transmission failure, this time taking our championship leading Pro-4 truck out of the race on the parade lap at the last race of that season, we sat down with Steve Menzies and proposed a new solution. First thing to go was the 3 speed gear train that severely limits the race teams in several ways with the current Turbo 400s. The 1st gear planetary ratio is too low to be of any use on the track. The 2nd gear planetary is usually spaced, ratio wise, too far from 1st and not close enough to 3rd. Being a planetary, there is only 3 ratios to chose from, and really only one of any practical use, the other two ratios are too far away from 3rd. The 3rd gear ratio is fixed at 1:1 and is not even a gear set in actuality. 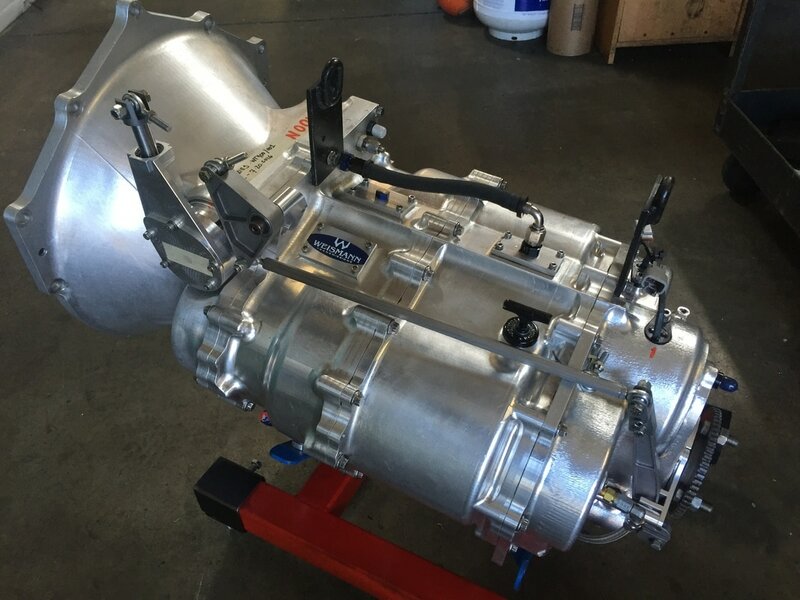 It is achieved by a direct connection between the input shaft and output shaft, thereby eliminating the need for an additional gear set. That might work in production cars to save cost, but not in racing where you need to be able to change ratios to suit your needs. We decided on 4 speeds, with each gear set designed as a spur gear, so that the teams can pick from a selection of ratios for each gear to suit their needs. Spur gears are the most efficient gear sets you can make. The second thing to go was the torque converter. 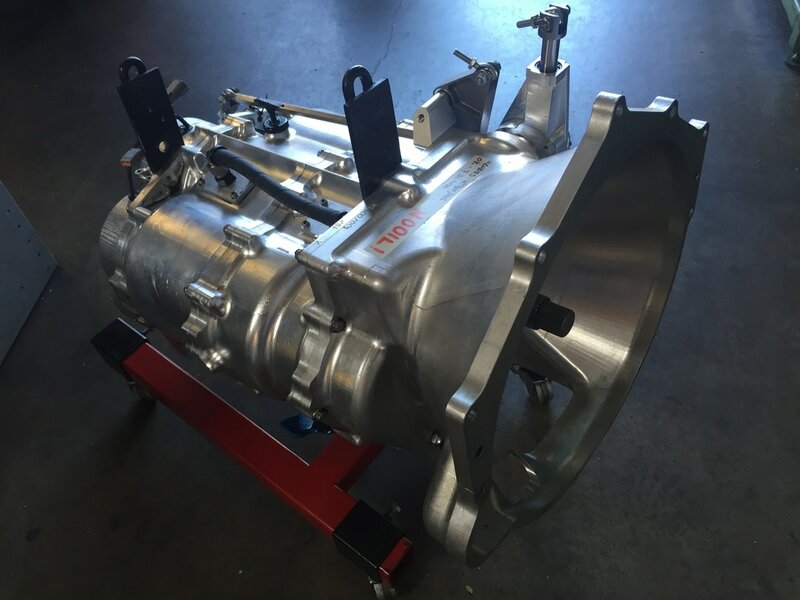 Initially we had designed the WeisMatic to be able to use a torque converter because people just expect to see one in an automatic, but we intended all along to replace it with a beefy version of our Weismann AutoClutch at some point. ​After a few tests with the torque converter to prove the point as to why we don't want one, out it came and in went the Weismann AutoClutch and it successfully handled the abuse of the trophy truck in testing. The third thing to go was the hydraulic valve body. The valve body controls the shifting of the automatic and is located on the bottom of the transmission. The racers actually shift the automatics with a shift handle - to be able to shift when they want to and not when the automatic decides to. The automatics are technically semi-automatic as they are used in racing. Fourth thing to go was the standard shift handle and cable shift. In it's place we reinvented the shift handle with a twin gate linkage which isolates the Parking - Neutral - Reverse shift from the N-1-2-3-4 sequential shift. Both linkages have solid, mechanical means of shifting the gears. The fifth thing to go was the fixed output location of the rear yoke. In other words, the racer and chassis designer don't have to rake the entire engine and automatic assembly up in the air to get the rear output yoke down low to suit their desired suspension geometry. The other major benefit is or course the lower Center of Gravity of the entire engine/transmission assembly. On the WeisMatic, we have lowered the output Yoke by 3.625 inches. 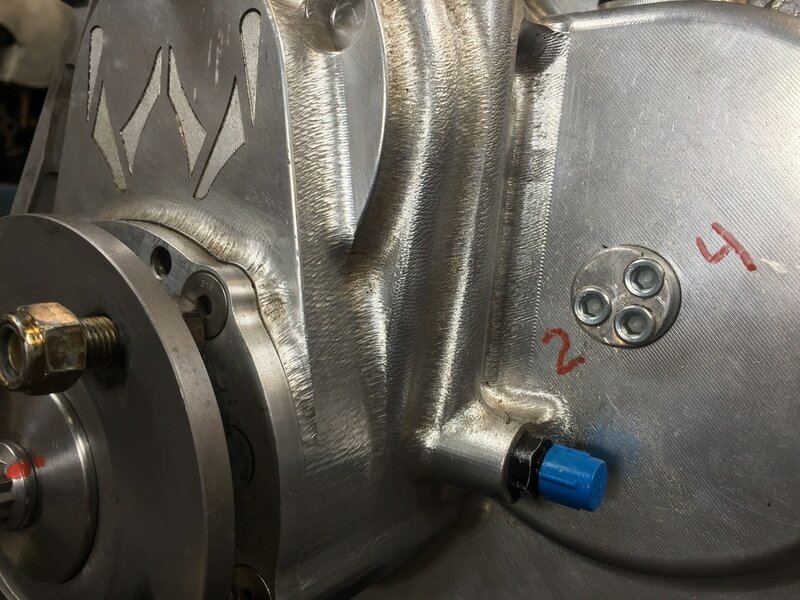 To achieve this, we introduced a quick change ratio in the back of the transmission to allow the racer to fine tune the overall ratio of the truck without having to carry several different ring gear and pinion ratios. By allowing the racer to run the strongest ring and pinion ratio, we are saving the racers further costs. Everything in design is a compromise. We balanced all our requirements and this is what we came up with a blank piece of paper. ​Visually you can see we made it a lot shorter but we gained some of it back in girth while adding another gear and quick change gear set. Code named RazorBack, it is 9" shorter than a standard automatic and underdrive assembly. We also incorporated an internal trick pump / drysump tank and oiling system, mechanical parking pawl, 2 gear dog shifted reverse - no idler gear, inspection covers, and even a dip stick. There are a few more hidden design features which shall remain unmentioned. ​The WeisMatic has been designed and tested as both a automatic (push button, computer controlled, air shifted) and as a manually shifted semi-automatic.